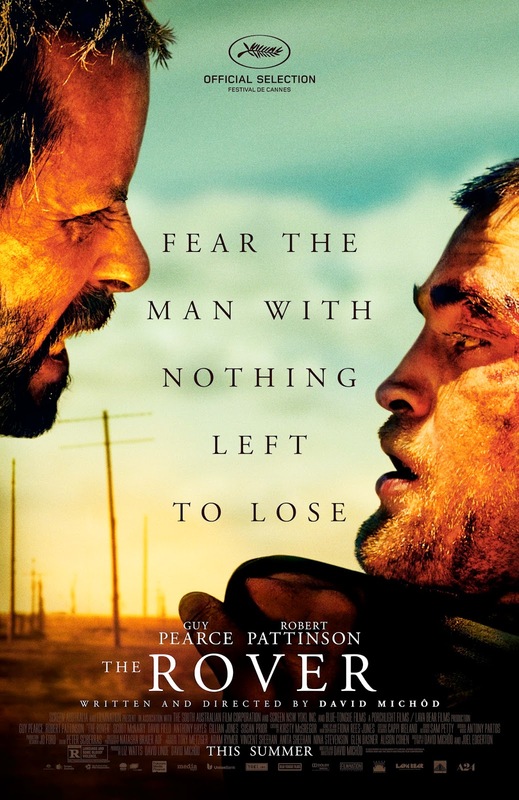 Several weeks ago, I opened my Netflix envelope to find a copy of the Australian post-apocalyptic drama The Rover. It had received favorable reviews and starred Guy Pearce so I felt like it was a safe bet for some dystopian escapism. The movie is set 10 years after the “collapse” which was both devastating and anticlimactic since it destroyed the final vestiges of human decency while leaving a surprisingly robust power and transportation infrastructure. Given the conspicuous lack of dialogue throughout the film, the “collapse” may have been largely verbal in nature. Pearce plays a grizzled drifter named Eric whose car is stolen while he sits in a shanty and stares morosely at his hands. The thieves are a group of men who have just botched a robbery and wrecked their vehicle while arguing about whether or not they should have gone back for their wounded comrade. You eventually piece together that they were attempting to steal something rare and valuable enough to have the military guard it, but no other details are provided. Since each and every location is permeated by dust, I choose to believe that they were attempting to illegally procure a HEPA filter. At any rate, Eric restarts their getaway vehicle and gives chase demanding the safe return of his vehicle. Along the way, he encounters a broken-down traveling circus where he murders a dwarf over the cost of a handgun and loses the trail of the thieves. Rather fortuitously, Eric crosses paths with the wounded cohort the thieves left behind and takes him to the home of a rural doctor who patches him up. While there, two Chinese acrobats from the stalled circus have tracked Eric down to avenge the death of the dwarf. Narrowly escaping, Eric takes his hostage Rey (played by Robert Pattinson of Twilight fame) and demands to be taken to the location of his associates; one of whom happens to be Rey’s brother. Eric quickly learns that Rey is from the American south and is mentally challenged (I assume those two pieces of information were meant to be mutually exclusive). After several more senseless homicides, Eric is apprehended by the Australian military where he admits to the decade-old murder of his wife and her lover. He expresses disappointment that he was never prosecuted for the crime and offers this confession as an explanation for his largely silent disregard or the sanctity of human life. Rey rescues him by shooting everyone on base, and they continue their odyssey to retrieve Eric’s car. Finally, after almost two hours of waiting and several more dead bodies, Guy Pearce is reunited with his sedan. The anticipation was killing me as I watched him pull over to the side of yet another desolate highway and wordlessly pop the trunk. By this time, I had already worked out a mental list of possible items. Was it a miniaturized nuclear reactor or a one-of-a-kind viral antidote? Perhaps a daughter he had kept hidden while traveling to protect her from the lustful eyes of the unwashed miscreants that populated this barren landscape? There, tucked inside the spacious cargo area, was…..his dead dog. The movie concludes as he begins to bury the dog on the side of said highway. It was at that moment that it dawned on me that the movie’s title might not be a reference to the autonomous vehicles that roam the barren surfaces of foreign planets. Instead, it was probably the uninventive name of his dog. I came dangerously close to penning a strongly worded letter to the producers. The cinematography was exquisite, the set design meticulous, and the acting was top-notch. Unfortunately, all of that was to serve a story about one man’s murderous rampage to properly inter the body of his canine. I realize that a cataclysmic event can shift one’s priorities and people have taken human life for less, but this was a bit of a letdown. I suppose the story was meant to be allegorical and remind us how fragile the moral fabric of society is, but all I can think is why didn’t he bury the dog at the house? There was no indication that the shoulder of this particularly bleak thoroughfare held any emotional significance. He is burning precious fuel in a decimated country to arbitrarily bury his dog in the right-of-way of state route 74. This film is rated R for economic inflation, pet-themed retribution and repeated scenes of gratuitous violence against a carney.